Stage 1 – Unconsciously unskilled (Unconscious Incompetence), where learners are unaware that they don’t know something. For example, if you have never driven a car before, you are likely to feel self-conscious and awkward the ﬁrst time you get behind the wheel of a car because you don’t know what to do. Stage 2 – Consciously unskilled (Conscious Incompetence), where learners become aware that they don’t know something. Once you start learning to drive the car, you realize that you don’t have the proper skills to drive a car now, and you work towards changing that. Stage 3 – Consciously skilled (Conscious Competence), where learners become aware of the knowledge and skill. You are now able to drive a car but need to consciously focus on the task at hand. Stage 4 – Unconsciously skilled (Unconscious Competence), where learners, through practice and continuous application of skill ﬁnally arrive at a stage where the ability becomes easier, and perhaps even natural. It is now that you can drive a car comfortably. Driving a car no longer requires concentration and conscious effort, as the habit has been formed, this change is stabilized at the sub-conscious level. It is in repetitive action in practice that ﬁnally habituates a learner with a skill set, such that they may perform it unconsciously. 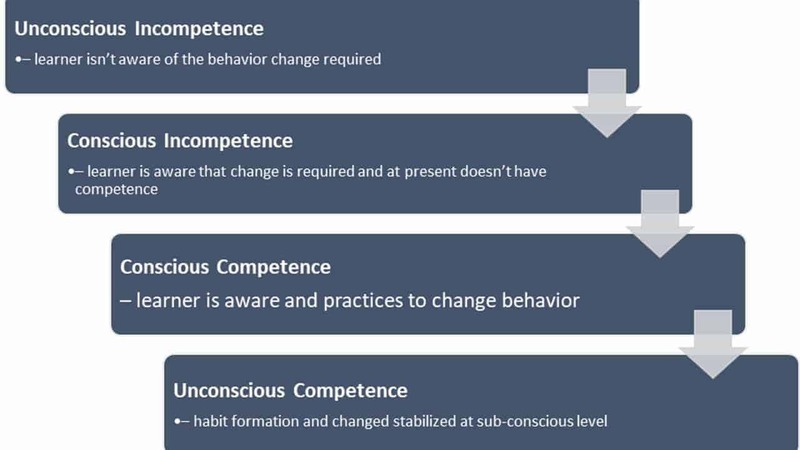 In learning, unconscious competence is indicative of a change in the learner’s mental model. Typically, a learner’s primary response to a situation comes from their subconscious patterned behavior, for which real-time, scientiﬁc feedback is not provided, and subsequent repercussions can be grave. As has been established already, the learning process is complete when it produces a change in thought, feeling and action, specifically by practice in a social environment. Formal learning, on-the-job experience and social interaction provide learners with knowledge, and some skill. Learners are then required to put in the effort themselves to master the skill. Research suggests that this typically takes 10,000 hours or 6-10 years to accomplish. Therefore, learners find it difficult to sustain the practice of ambiguous and complex skillsets. Traditional learning interventions lack critical elements that are required to strengthen the learning process to ensure habitual practice. Analytics to measure behavioral change, unbiased feedback, practice, and a safe environment for errors are often missing or limited in traditional learning interventions. As a result, more often than not, learning is rarely implemented. Where conscious attempts are made, changes in mindset and behavior take a long time to manifest and be recognized, if at all. As Malcolm Gladwell describes in his book, ‘The Tipping Point’, “The success of any kind of social epidemic is heavily dependent on the involvement of people with a particular and rare set of social gifts”. In other words, traditional learning omits facilitated practice. In employing the simulation technique to learning, the impact of the learning process is signiﬁcantly higher, with higher returns, and lower error margins. This is because the conscious- competence model highlights the importance of feedback in the learning process, which is often missing in traditional learning techniques and approaches. The demonstration of a simulation at this stage generated active interest among learners to engage in the technique. The complexity and real-life like environment within the simulation attracts learners to continue engaging with the simulations. 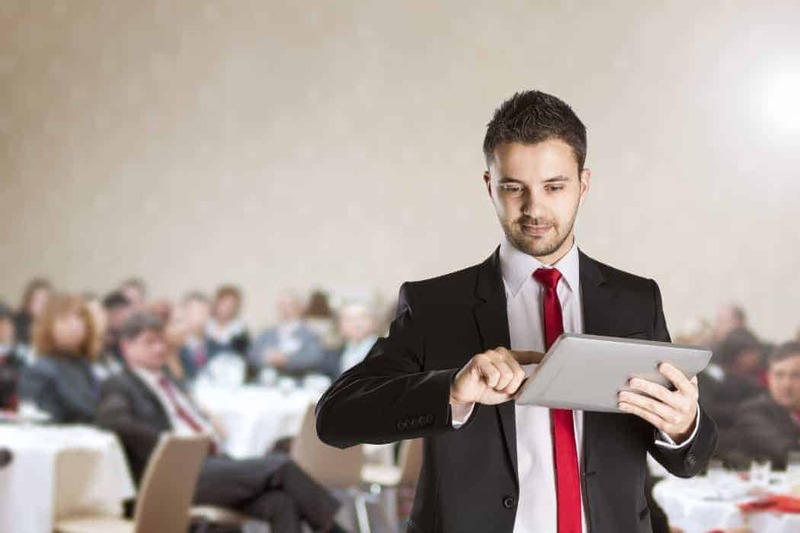 Feedback provided on each action indicates the areas of strength as well as improvement to the learner, highlighting the lack of mastery over a skillset or competency. Transition to the fourth and final level of the process is a result of constant practice. The constant action-feedback-action loop within the simulation prompts learners to strive for perfection, thereby propelling continuous engagement, and more importantly, practice. By the end of the simulation, learners have had enough practice to increase confidence levels of exhibiting the newly learnt behavior in the real world. By this stage, learners are in a position to even impart this skill to others. If we are seeking learning methodologies that profoundly impact the learning process and outcome positively, as all L&D teams should, then there are but a few drawbacks to simulation-based approach to the learning process. To understand the benefit of simulations in achieving deep, impactful learning, read this whitepaper. To request a walkthrough of a behavioral simulation, contact us now.